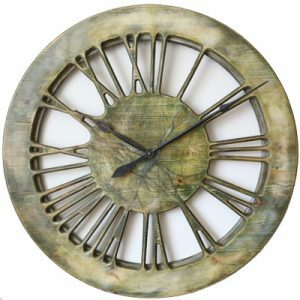 We have uniquely designed those large skeleton wall clocks to be the centrepieces in your living room. They display carefully hand carved Roman Numerals and you can see the wall between the numbers. 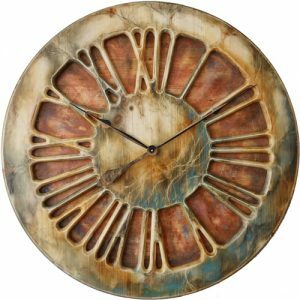 You are most probably looking for popular metal skeleton wall clocks and stumbled upon our website by accident. 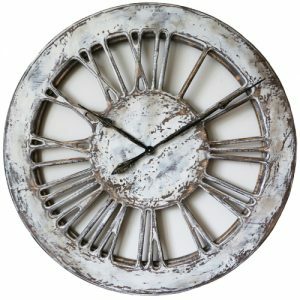 If you want a statement piece that will differentiate your place from the rest of the world look no further. 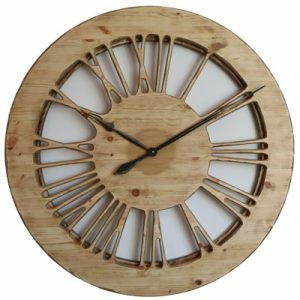 None of those clocks that you can see below are available elsewhere on the internet. 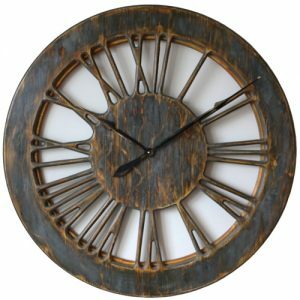 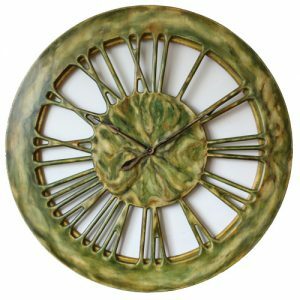 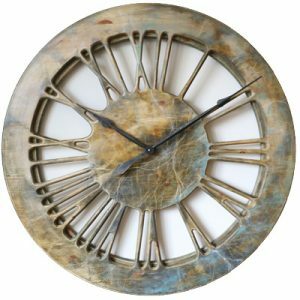 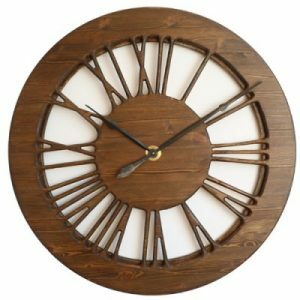 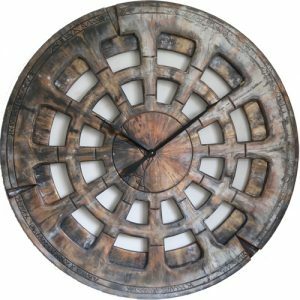 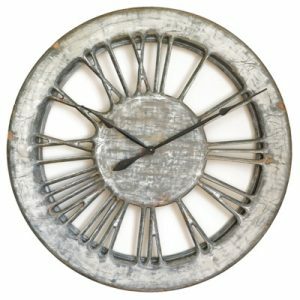 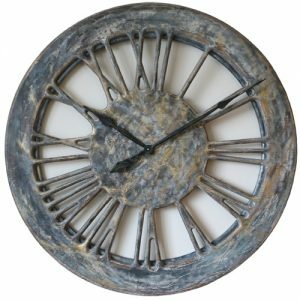 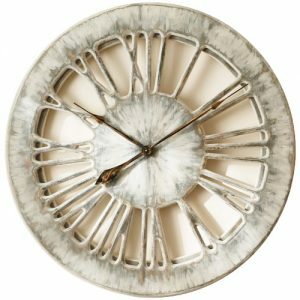 Our large skeleton wall clocks with Roman Numerals will provide the perfect and lasting impression on everyone coming across it. Unlike cheap mass produced metal skeleton wall clocks we are using wood to add a lot more character. 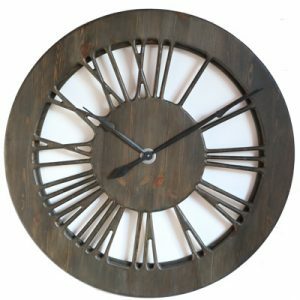 First we have to cut the clock face and next we paint each clock individually. 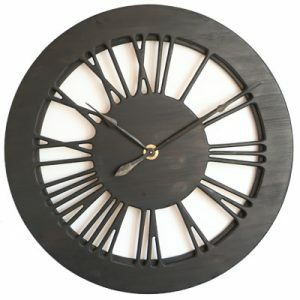 Finally we are attaching narrow rim at the back to provide unique three dimensional beauty and light feel. 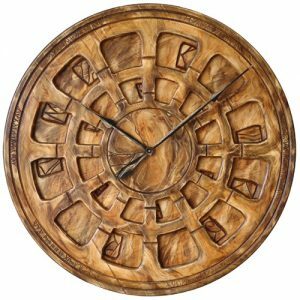 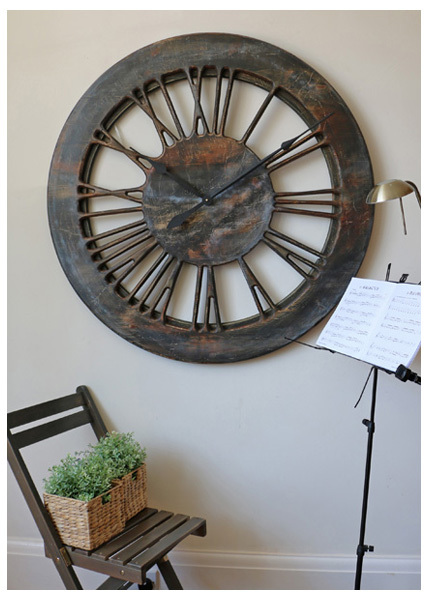 The clocks you can see here are available in three sizes 75 cm, 100 cm, 120 cm in diameter and weigh 6-18 kg. 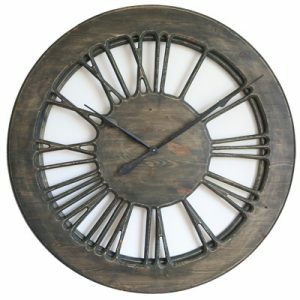 Please read about our Skeleton Wall Clocks blog section for more details.